There are two things I am thinking of as the work clock ticks down and family time begins: What am I going to make for dinner and when are the kids going to bed? Ok, ok, its not that bad. My kids are actually really amazing and while I do look forward to unwinding at night, I also love family time. And dinner time is so much a part of that. It’s generally the first time during the day that all four of us sit down, talk about what we did that day, and act as a unit. Now I have a 4 year old and an 11 year old and their food tastes often vary with the wind. One night they could be in love with a particular food group and the next day its the worst thing they ever tasted. But one thing that never goes out of style in my home is Mexican cuisine. Because we spent so much time during the month focused on this family favorite, I am always thinking of ways to take it and twist it into something new. 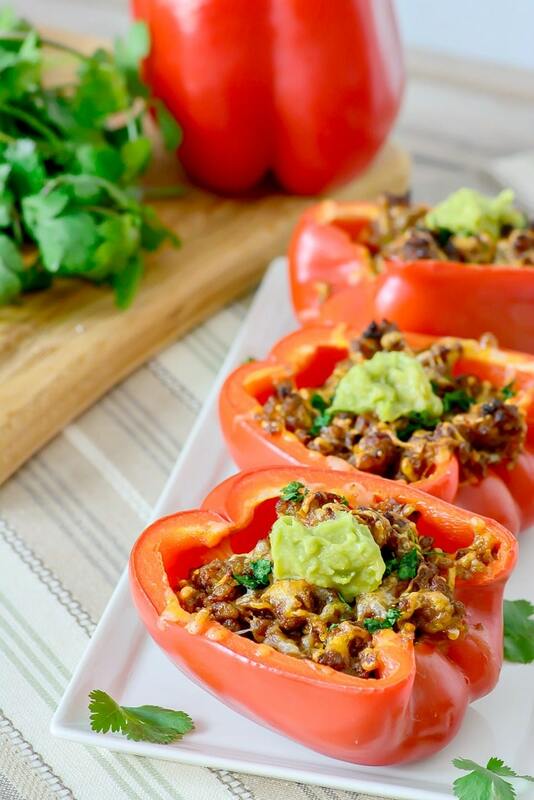 While the kids could eat the same 3 ingredients every day of the week, my husband and I prefer a more balanced palette and these taco stuffed bell peppers and other recipes like salsa soup make it easy. 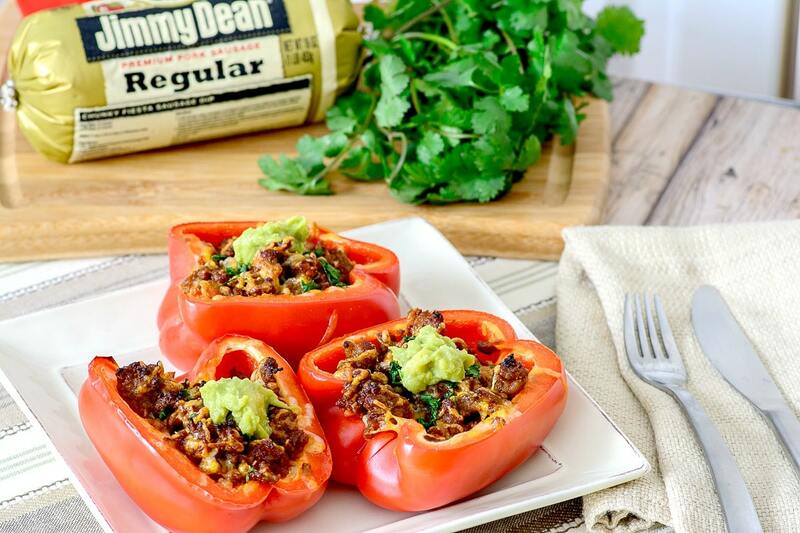 So when Jimmy Dean challenged me to take one of their delicious ingredients and incorporate it into my family night, I knew it was going to be a win. Like I said before, Mexican is one thing we love. Being able to pile all the “extras” high specific to everyone’s tastes leaves the whole family content and full. I like mine with sour cream and guacamole, lettuce, and tomato, but my kids won’t touch guacamole if you tried to bribe them with a pixie stick after! In any case, check out this fun twist that we enjoyed making Mexican Taco Stuffed Bell Peppers with Jimmy Dean sausage! This is an easy recipe that takes no time at all to whip up for a busy family like ours! Tell me about any activities or sports at school you are looking to do! Do you have any ideas for a get together with your friends this weekend? If I let you choose our next vacation, where would you take us all? Do you have a website at school you visit that helps you learn? Tell me about it. What is the funniest thing about dad? What movie should we all watch this weekend as a family? Which pet in the house is your favorite? Why? 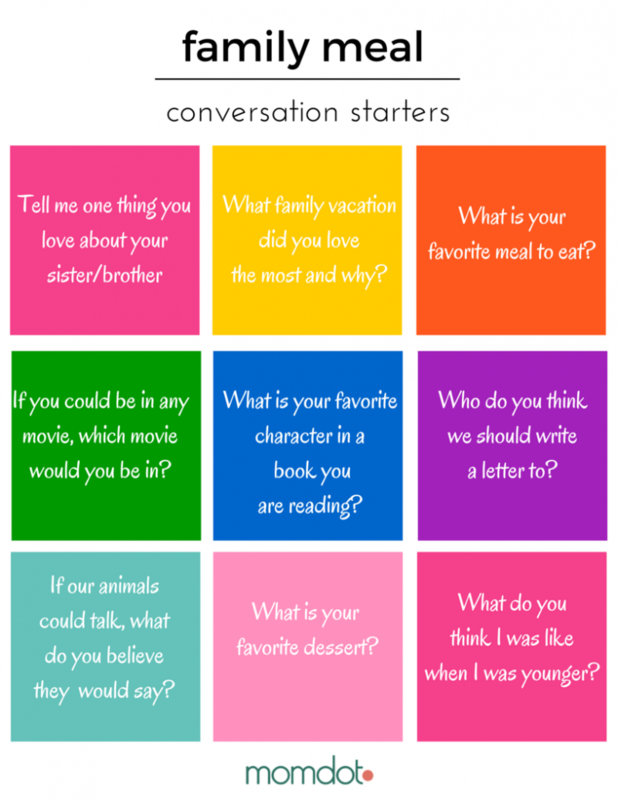 To inspire you, I created an easy FAMILY CONVERSATION STARTER printable with 9 ways to chat starting tonight! Just print, cut out, and pull a random card to get the conversation started. Hit the image below to get this FREE PDF! Want more great recipes to bring home? Head to Jimmy Dean for unique and delicious ways to incorporate sausage into your meals for family night.